Are you a Web Designer with a flair for modern aesthetics? Are you an SEO Wizard looking to work your magic? Then you’re a perfect candidate for FlexiSPY’s newest job openings! With all the new products and features we’ve launched over the past year, we’ve been thinking how nice it would be to have fresh web designs and content to go with them. And who better to help than the people who know our product best – YOU! 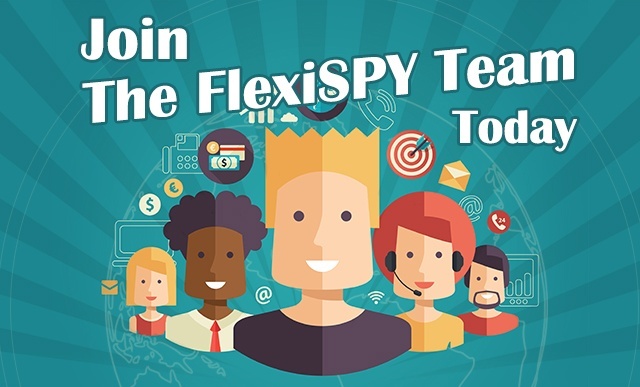 So if you consider yourself motivated, experienced and passionate about FlexiSPY, then we have a number of freelance projects and opportunities available. We love our site and have worked hard to keep it sleek and up to date. However, we’re looking for a fresh perspective to complement our expanding business. FlexiSPY needs designers who are creative and work with UI and UX in mind. We will give you text and will look to you to make it easy-to-navigate and eye-catching to read. We are NOT looking for a redesign of our current site, but rather something exciting and original – so copying a generic template from the web won’t qualify. Content is king – and we have a lot of it! The ideal candidate has an understanding of customer purchasing behavior and how to use key words to bring the right visitors to our site. What made you buy FlexiSPY? What words or phrases did you search before landing on our site? Send us an email with the job you’re applying for in the Subject. Include the required information and our team will review the applications. Those selected for the job will be contacted directly. Thank you in advance and let us know if you have any questions or comments below!